Being a creative agency that does more than a little social media strategy and management, we keep a close eye on new developments in the social media world as they crop up. Normally, we pull noteworthy updates into a monthly social media newsletter we blast out. But when Instagram announces multiple new updates that will shift the way users interact with the platform, we think it’s blog post worthy. Let’s dive right into the two updates we think are game changers for brands and influencers on Instagram, shall we? Now that there are an estimated 200 million people using Stories each day, it’s hard to argue that Stories are not a force to be reckoned with for brands. 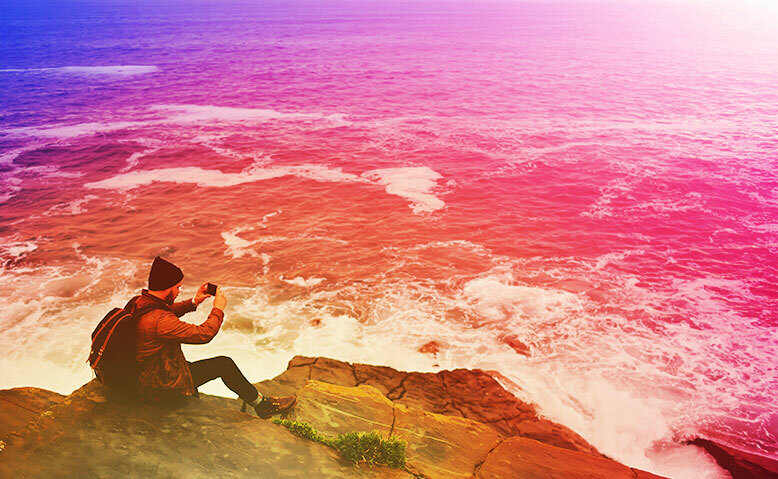 Instagram’s introduction of Stories strategically aligned the platform with the mindset of Snapchat users who gravitate towards more authentic, less curated content – and it’s a gamble already paying off handsomely for Instagram. Now, thanks to the introduction of Stories that are tied to location tags, (following closely in the footsteps of a similar update in Snapchat, ahem) it’s going to get easier for users to find and watch Stories they feel are relevant to their lives, no matter where they might be. Looking to find something cool to do in a town on your road trip? Explore a few Stories by those who are nearby who have already found a rad swimming hole, the perfect drip coffee, or the world’s best donut. Looking for Stories from the comfort of your own home and bored with the people you already follow? Instagram’s new hashtag Stories allow you to find Stories featuring that new latch and hook pattern you can’t seem to figure out or how to pick the perfect peony for your sunset gathering of friends. BOTTOM LINE FOR BRANDS: Your Stories can now be searched more actively than ever – and the number of Stories users is growing by leaps and bounds, so make sure you have a strategy in place to show up in the locations and topics where your target demographic is likely to be. We’ve all done it – a post didn’t perform quite as well as we’d hoped or came upon a post from the hyper contrasted, fuzzy halo phase of Instagram filters, so you delete it to prevent the gumming up of your pristine feed. As the typical Instagram feed has become more highly curated and groomed, it became common to delete the more cringe-worthy posts and save the “behind-the-scenes” content for Snapchat (until Instagram launched Stories) but thanks to the Archive feature, you can save those less perfect posts for posterity – and even add them back into your feed. This will undoubtedly be a great relief to on-and-off celebrity couples everywhere. Is Instagram granting this ability out of the kindness of their hearts? Unlikely. The more a user’s feed stays an online repository of photographic memories, the longer that user stays engaged on the platform, and the more Instagram can monetize its user base. BOTTOM LINE FOR BRANDS: If you need to clean up your feed for a specific campaign or event activation, or remove a product from promotion in your feed for a bit, it’s easier than ever to Archive old content for later. Feeling a little overwhelmed by the flurry of social media updates this week? We’ve got your back. Let us be the inbound nerds who scrounge the internet for new developments and tweak your social strategy to perfection.